^ Ottoman Capital Bursa 互联网档案馆的存檔，存档日期2013-01-11.. Official website of Ministry of Culture and Tourism of the Republic of Turkey. Retrieved 26 June 2013. ^ Leslie P. Peirce. The imperial harem: women and sovereignty in the Ottoman Empire. Oxford University Press US. 1993年: 第15頁. ISBN 0-19-508677-5 （英语）. ^ Naim Kapucu、Hamit Palabıyık. Turkish Public Administration. USAK Books. : 第65頁. ISBN 605-4030-01-9 （英语）. ^ Jane Taylor. Imperial Istanbul: A Traveller's Guide: Includes Iznik, Bursa and Edirne. Tauris Parke Paperbacks. 2007年: 第67頁. ISBN 1-84511-334-9 （英语）. ^ Patrick Balfour Kinross. The Ottoman centuries: the rise and fall of the Turkish empire. Morrow. 1977年. ISBN 0-688-03093-9 （英语）. ^ Colin Imber. The Ottoman Empire, 1300-1650: The Structure of Power. Palgrave Macmillan. 2004年: 第255頁. ISBN 0-333-61387-2 （英语）. ^ David Nicolle. Nicopolis 1396. Osprey Publishing. 2001年: 第62頁. ISBN 1-84176-278-4 （英语）. ^ Colin Wells. A Brief History of History: Great Historians and the Epic Quest to Explain the Past. The Lyons Press. 2008年: 第104頁. ISBN 1-59921-122-X （英语）. ^ Irene Earls. Renaissance Art: A Topical Dictionary. Renaissance Art: A Topical Dictionary. 1987年: 第270頁. ISBN 0-313-24658-0 （英语）. ^ Marie Tanner. The Last Descendant of Aeneas: The Hapsburgs and the Mythic Image of the Emperor. Yale University Press. 1993年: 第252頁. ISBN 0-300-05488-2 （英语）. ^ Tao Wang. A Brief History of the World. AuthorHouse. 2002年: 第168頁. ISBN 0-595-24137-9 （英语）. ^ Kevin Fewster、Hatice Hürmüz Başarin、Vecihi Başarin. Gallipoli: the Turkish story. Allen & Unwin. 2003年. ISBN 1-74114-045-5 （英语）. ^ Susan Belasco、Linck Johnson. The Bedford Anthology of American Literature: Volume One: Beginnings to the Civil War. Bedford/St. Martin's. 2007年: 第66頁. ISBN 0-312-48299-X （英语）. ^ Savory, R. M. The Principal Offices of the Ṣafawid State during the Reign of Ismā'īl I (907-30/1501-24). Bulletin of the School of Oriental and African Studies, University of London. 1960, 23 (1): 91–105. ^ Hess, Andrew C. The Ottoman Conquest of Egypt (1517) and the Beginning of the Sixteenth-Century World War. International Journal of Middle East Studies. 1973年1月, 4 (1): 55–76. ^ Caroline Finkel. Osman's Dream: The Story of the Ottoman Empire, 1300-1923. Basic Books. 2006年: 第118頁. ISBN 0-465-02396-7 （英语）. ^ Robert Bideleux、Ian Jeffries. A History of Eastern Europe: Crisis and Change. Taylor & Francis. 2007年: 第89頁. ISBN 0-415-36627-5 （英语）. ^ Martin Sicker. The Islamic world in ascendancy: from the Arab conquests to the siege of Vienna. Greenwood Publishing Group. 2000年: 第203頁. ISBN 0-275-96892-8 （英语）. ^ Ármin Vámbéry、Louis Heilprin. Hungary. Putnam. 1898年: 第297頁 （英语）. ^ Leon Carl Brown、Benjamin R. Gampel. Imperial Legacy: The Ottoman Imprint on the Balkans and the Middle East. Columbia University Press. 1997年: 第120頁. ISBN 0-231-10305-0 （英语）. ^ Ros Horton、Sally Simmons. Women Who Changed the World. Quercus. 2007: 第32頁. ISBN 1-84724-026-7 （英语）. ^ Allan Freer. The North British Review. W. P. Kennedy. 1862年: 第45頁 （英语）. ^ Michael Hochedlinger. Austria's wars of emergence: war, state and society in the Habsburg monarchy, 1683-1797. Longman. 2003年. ISBN 0-582-29084-8 （英语）. ^ Halil İnalcık. The Ottoman Empire: the classical age, 1300-1600. Aristide D. Caratzas. 1989年: 第44頁. ISBN 0-89241-388-3 （英语）. ^ Hasan Celâl Güzel、Cem Oğuz、Osman Karatay、Murat Ocak. The Turks. Yeni Türkiye. 2002年 （英语）. ^ Maureen Perrie、D. C. B. Lieven、Ronald Grigor Suny. 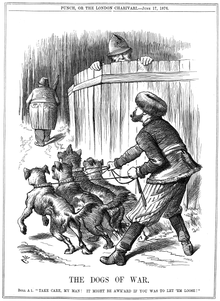 The Cambridge History of Russia. Cambridge University Press. 2006年. ISBN 0-521-81227-5 （英语）. ^ Alan W. Fisher. The Crimean Tatars. Hoover Press. 1978年: 第17頁. ISBN 0-8179-6662-5 （英语）. ^ Norman Itzkowitz. Ottoman Empire and Islamic Tradition. University of Chicago Press. 1980年: 第67頁. ISBN 0-226-38806-9 （英语）. ^ Clifford J. Rogers. The military revolution debate: readings on the military transformation of early modern Europe. Westview Press. 1995年: 第321頁. ISBN 0-8133-2053-4 （英语）. ^ Suraiya Faroqhi、Halil İnalcık、Donald Quataert. An Economic and Social History of the Ottoman Empire. Cambridge University Press. 1999年: 第24頁. ISBN 0-521-57455-2 （英语）. ^ Leslie Peirce. Morality tales: law and gender in the Ottoman court of Aintab. University of California Press. 2003年. ISBN 0-520-22892-8 （英语）. ^ Leslie P. Peirce. The imperial harem: women and sovereignty in the Ottoman Empire. Oxford University Press US. 1993年: 第93頁. ISBN 978-0-19-508677-5 （英语）. ^ James C. Kaufman、Robert J. Sternberg. The International Handbook of Creativity. Cambridge University Press. 2006年: 第353頁. ISBN 0-521-83842-8 （英语）. ^ Philip J. Cohen、David Riesman. Serbia's Secret War: Propaganda and the Deceit of History. Texas A&M University Press. 1996年: 第64頁. ISBN 0-89096-760-1 （英语）. ^ William L. Cleveland. A history of the modern Middle East. Westview Press. 1994年: 第61頁. ISBN 0-8133-0562-4 （英语）. ^ Alan Palmer. The Decline and Fall of the Ottoman Empire. Barnes & Noble. : 第41頁. ISBN 1-56619-847-X （英语）. ^ Suraiya Faroqhi. Subjects of the Sultan: culture and daily life in the Ottoman Empire. I.B.Tauris. 2005年: 第249頁. ISBN 1-85043-760-2 （英语）. ^ Virginia H. Aksan、Daniel Goffman. The early modern Ottomans: remapping the Empire. Cambridge University Press. 2007年. ISBN 0-521-81764-1 （英语）. ^ M. Şükrü Hanioğlu. A brief history of the late Ottoman empire. 2008年: 第77頁. ISBN 0-691-13452-9 （英语）. ^ Atatürk Kültür、Dil、ve Tarih Yüksek Kurumu (Turkey)、Türk Tarih Kurumu. Tanzimat'ın 150. Yıldönümü Uluslararası Sempozyumu: Ankara, 31 Ekim - 3 Kasım 1989. Türk Tarih Kurumu. 1994年: 第388頁 （英语）. ^ Feridun Mustafa Emecen, Ekmeleddin İhsanoğlu, Research Centre for Islamic History, Art, and Culture. Osmanlı devleti ve medeniyeti tarihi. İslam Tarih, Sanat ve Kültür Araştırma Merkezi (IRCICA). 1998年: 第324頁. ISBN 92-9063-051-5 （土耳其语）. ^ Türk Dünyası Araştırmaları Vakfı. Türk dünyası araştırmaları. 第145-146期. Türk Dünyası Araştırmaları Vakfı. 2003: 第6頁 （英语）. ^ Abdulkader Tayob. Islamic resurgence in South Africa: the Muslim Youth Movement. Juta and Company Limited. 1995年: 第24頁. ISBN 0-7992-1612-7 （英语）. ^ Harris M. Lentz. Assassinations and executions: an encyclopedia of political violence, 1865-1986. McFarland. 1988年: 第8頁. ISBN 0-89950-312-8 （英语）. 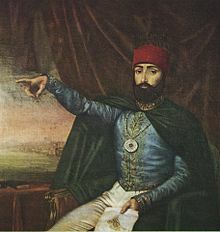 ^ M. Şükrü Hanioğlu. The Young Turks in opposition. Oxford University Press US. 1995年: 第234頁. ISBN 0-19-509115-9 （英语）. ^ Richard F. Hamilton、Holger H. Herwig. Decisions for war, 1914-1917. Cambridge University Press. 2004年: 第157頁. ISBN 0-521-54530-7 （英语）. ^ Christopher Montague Woodhouse. The Greek war of independence: its historical setting. Hutchinson's University Library. 1952年 （英语）. ^ Nikshoy C. Chatterji. Muddle of the Middle East. Abhinav Publications. 1973年: 第90頁. ISBN 0-391-00304-6 （英语）. ^ William Thomas Johnsen, Army War College (U.S.). Strategic Studies Institute. Deciphering the Balkan Enigma: Using History to Inform Policy. DIANE Publishing. 1993年. ISBN 1-4289-1430-7 （英语）. ^ Adam M. Garfinkle. Politics and society in modern Israel: myths and realities. M.E. Sharpe. 1999年: 第36頁. ISBN 0-7656-0515-5 （英语）. ^ Andrew Linklater. International relations: critical concepts in political science. Taylor & Francis. 2000年: 第976頁. ISBN 0-415-20139-X （英语）. 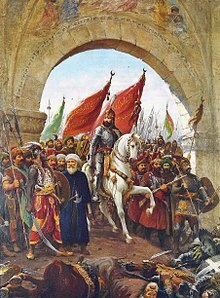 ^ Huri İslamoğlu-İnan. The Ottoman Empire and the World-Economy. Cambridge University Press. 2004年: 第289頁. ISBN 0-521-52607-8 （英语）. ^ Edward Raymond Turner. Europe since 1870. Doubleday. 1921年: 第450頁 （英语）. ^ Janusz Bugajski. Nations in turmoil: conflict and cooperation in Eastern Europe. Westview Press. 1995年: 第178頁. ISBN 0-8133-2351-7 （英语）. ^ Morris Jastrow. The War and the Bagdad Railroad （英语）. ^ Hans-Lukas Kieser. Turkey beyond nationalism: towards post-nationalist identities. I.B.Tauris. 2006年: 第38頁. ISBN 1-84511-141-9 （英语）. ^ Gérard J. Libaridian, Permanent Peoples' Tribunal, Gérard Chaliand. A Crime of silence: the Armenian genocide. Zed Books. 1985年: 第158頁. ISBN 0-86232-423-8 （英语）. ^ Erik Jan Zürcher. Between Death and Desertion. The Experience of the Ottoman Soldier in World War I. 1996年: 第235–258頁 （英语）. ^ Habib Boularès. Islam: the fear and the hope. Zed Books. 1990年: 第85頁. ISBN 0-86232-945-0 （英语）. ^ Leon Carl Brown. Religion and state: the Muslim approach to politics. Columbia University Press. 2000年: 第116頁. ISBN 0-231-12039-7 （英语）. ^ James B. Cuno. Who owns antiquity? : museums and the battle over our ancient heritage. Princeton University Press. 2008年: 第186頁. ISBN 0-691-13712-9 （英语）. ^ Norman Itzkowitz. Ottoman Empire and Islamic Tradition. University of Chicago Press. 1980年: 第38頁. ISBN 0-226-38806-9 （英语）. ^ Sandra Mackey. The reckoning: Iraq and the legacy of Saddam Hussein. Norton. 2003年: 第89頁. ISBN 0-393-32428-1 （英语）. ^ Antony Black. The History of Islamic Political Thought: From the Prophet to the Present. Routledge. 2001年: 第197頁. ISBN 0-415-93243-2 （英语）. ^ Donald Quataert. The Ottoman Empire, 1700-1922. Cambridge University Press. 2005年. ISBN 0-521-83910-6 （英语）. ^ Naim Kapucu、Hamit Palabıyık. Turkish Public Administration. USAK Books. : 第77頁. ISBN 605-4030-01-9 （英语）. ^ Pat Yale. Turkey. Lonely Planet. 2005年: 第143頁. ISBN 1-74059-683-8 （英语）. ^ Boaz Shoshan. Discourse on Gender/gendered Discourse in the Middle East. Praeger. 2000年: 第26頁. ISBN 0-275-96477-9 （英语）. ^ Bernard Lewis. Istanbul and the civilization of the Ottoman Empire. University of Oklahoma Press. 1972年: 第151頁. ISBN 0-8061-1060-0 （英语）. ^ James Elkins. The domain of images. Cornell University Press. 1999年: 第99頁. ISBN 0-8014-3559-5 （英语）. ^ 94.0 94.1 94.2 Lauren A. Benton. Law and colonial cultures: legal regimes in world history, 1400-1900. Cambridge University Press. 2002年: 第109–110頁. ISBN 0-521-00926-X （英语）. ^ Mordaunt Milner. The Godolphin Arabian: The Story of the Matchem Line. J.A. Allen. 1990年: 第3–6頁. ISBN 0-85131-476-7 （英语）. ^ John F. Wall. Famous Running Horses: Their Forebears and Descendants. Kessinger Publishing. 2008年: 第8頁. ISBN 1-4367-1637-3 （英语）. ^ Ahmet Mumcu. Osmanlı devleti'nde siyaseten katl. Phoenix. 2007年: 第148頁. ISBN 9944-931-14-4 （土耳其语）. ^ Ottoman Empire Military History. Paralumun. [2009-04-12] （英语）. ^ Robert Gardiner、Randal Gray、Przemysław Budzbon. Conway's All the world's fighting ships, 1906-1921. Conway Maritime Press. 1985年: 第387頁. ISBN 0-85177-245-5 （英语）. ^ An economic and social history of the Ottoman Empire. Cambridge University Press. 1997年. ISBN 0-521-57455-2 （英语）. ^ 107.0 107.1 107.2 107.3 107.4 M. Kabadayı, Inventory for the Ottoman Empire / Turkish Republic 1500-2000 互联网档案馆的存檔，存档日期2011-10-28. ^ Mary Neuburger. The Orient Within: Muslim Minorities and the Negotiation of Nationhood in Modern Bulgaria. Cornell University Press. 2004年: 第28頁. ISBN 0-8014-4132-3 （英语）. ^ Gerd Nonneman、Tim Niblock、Bogdan Szajkowski. Muslim communities in the new Europe. Ithaca Press. 1996年: 第13頁. ISBN 0-86372-192-3 （英语）. ^ Halil İnalcık. Halil İnalcık. "Servile Labor in the Ottoman Empire". coursesa.matrix.msu.edu. [2009-04-09]. （原始内容存档于2009-09-11） （英语）. ^ Carter V. Findley. The Turks in world history. Oxford University Press US. 2005年: 第68頁. ISBN 0-19-517726-6 （英语）. ^ Gregory Jusdanis. Belated modernity and aesthetic culture: inventing national literature. U of Minnesota Press. 1991年: 第17頁. ISBN 0-8166-1980-8 （英语）. ^ Beth Baron. Egypt as a woman: nationalism, gender, and politics. University of California Press. 2005年: 第29頁. ISBN 0-520-23857-5 （英语）. ^ C. G. Weeramantry. Justice without frontiers: furthering human rights. Martinus Nijhoff Publishers. 1997年: 第138頁. ISBN 90-411-0241-8 （英语）. ^ Richard G. Hovannisian. The Armenian People from Ancient to Modern Times: Foreign dominion to statehood. Palgrave Macmillan. 1997年: 第186頁. ISBN 0-312-10168-6 （英语）. ^ Ezel Kural Shaw. History of the Ottoman Empire and modern Turkey. Cambridge University Press. 1977年: 第152頁. ISBN 0-521-29163-1 （英语）. ^ Victor Roudometof. Nationalism, Globalization, and Orthodoxy: The Social Origins of Ethnic Conflict in the Balkans. Greenwood Publishing Group. 2001年: 第139頁. ISBN 0-313-31949-9 （英语）. ^ Alec Charles. Media in the Enlarged Europe: Politics, Policy and Industry. Intellect Books. 2009年: 第20頁. ISBN 1-84150-998-1 （英语）. ^ Gabriel Piterberg. An Ottoman Tragedy: History and Historiography at Play. University of California Press. 2003年: 第98–103頁. ISBN 0-520-23836-2 （英语）. ^ Helen Gardner、Fred Kleiner、Christin J. Mamiya. Gardeners Art Though The Ages. Thomson/Wadsworth. 2004年: 第263頁. ISBN 0-15-505090-7 （英语）. ^ Sheila Blair、Jonathan M. Bloom、Richard Ettinghausen. The art and architecture of Islam 1250-1800. Yale University Press. 1995年: 第135頁. ISBN 0-300-06465-9 （英语）. ^ 126.0 126.1 Lynn A. Levine. Frommer's Turkey. John Wiley and Sons. 2006年: 第104頁. ISBN 0-471-78556-3 （英语）. ^ Ulya Vogt-Göknil、Eduard Widmer. Living architecture: Ottoman. Grosset & Dunlap. 1966年: 第50頁 （英语）. ^ The Ottoman Artistic Legacy. Israel Ministry of Foreign Affairs. [2009-04-09]. （原始内容存档于2009-02-13） （英语）. ^ Donald Quataert. The Ottoman Empire, 1700-1922. Cambridge University Press. 2000年: 第167頁. ISBN 0-521-63328-1 （英语）. ^ Kees Versteegh、C. H. M. Versteegh. The Arabic language. Edinburgh University Press. 2001年: 第234頁. ISBN 0-7486-1436-2 （英语）. ^ Kate Fleet、Suraiya Faroqhi、Reşat Kasaba. The Cambridge history of Turkey: the later Ottoman Empire, 1603-1839. Cambridge University Press. 2006年: 第396頁. ISBN 0-521-62095-3 （英语）. ^ Islamic Culture Board. Islamic culture. Islamic Culture Board. 1998年: 第77頁 （英语）. ^ Anders Hammarlund、Tord Olsson, Elisabeth Özdalga、Svenska forskningsinstitutet i Istanbul. Sufism, music and society in Turkey and the Middle East: papers read at a conference held at the Swedish Research Institute in Istanbul, November 27-29, 1997. Routledge. 2001年: 第119頁. ISBN 0-7007-1148-1 （英语）. ^ 135.0 135.1 Sami Zubaida、Richard Tapper. A Taste of Thyme: Culinary Cultures of the Middle East. I. B. Tauris & Company, Limited. 2001年: 第52頁. ISBN 1-86064-603-4 （英语）. Caroline Finkel. Osman's dream: the story of the Ottoman Empire, 1300-1923. Basic Books. 2004年. ISBN 0-465-02396-7 （英语）. Bernard Lewis. Istanbul and the civilization of the Ottoman Empire. University of Oklahoma Press. 1972年. ISBN 0-8061-1060-0 （英语）. Halil İnalcık. An economic and social history of the Ottoman Empire. Cambridge University Press. 1997年. ISBN 0-521-57455-2 （英语）. John Balfour Kinross、Patrick Balfour Kinross. The Ottoman centuries: the rise and fall of the Turkish Empire. Cape. 1997年. ISBN 0-224-01379-3 （英语）. Moulavi Cherágh Ali. The Proposed Political, Legal and Social Reforms in the Ottoman Empire and Other Mohammedan States. s.n. 1883年 （英语）. Stanford J Shaw. 奥斯曼帝国. 西寧: 青海人民出版社. 2006年 （中文（简体）‎）. Albert Howe Lybyer. The government of the Ottoman Empire in the time of suleiman the magnificent. Kessinger. 2007年. ISBN 978-0-548-19148-4 （英语）. Mustafa Aksakal. 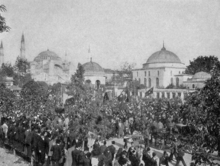 The Ottoman road to war in 1914 : the Ottoman Empire and the First World War. New York: Cambridge University Press. 2008年. ISBN 0-521-88060-2 （英语）. Karen Barkey. Empire of difference : the Ottomans in comparative perspective . New York: Cambridge University Press. 2008年. ISBN 0-521-71533-4 （英语）. Şevket Pamuk. The Ottoman economy and its institutions. Burlington, VT: Ashgate Pub. Company. 2008年. ISBN 0-521-71533-4 （英语）. M. Şükrü Hanioğlu. A brief history of the late Ottoman empire. Princeton: Princeton University Press. 2008年. ISBN 0-691-13452-9 （英语）. Suraiya Faroqhi. 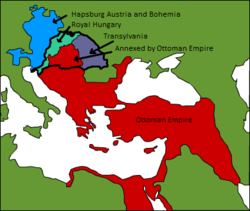 The later Ottoman Empire, 1603-1839. New York: Cambridge University Press. 2006年. ISBN 0-521-62095-3 （英语）. Suraiya Faroqhi. The Ottoman Empire and the world around it. London : New York: I.B. Tauris. 2006年. ISBN 1-84511-122-2 （英语）. Dominik Schaller. Late Ottoman Genocides: The dissolution of the Ottoman Empire and Young Turkish population and extermination policies. Routledg. 2009年. ISBN 0-415-48012-4 （英语）. Colin Imber. The Ottoman Empire, 1300-1650 : the structure of power. Basingstoke, Hampshire ; New York: Palgrave. 2002年. ISBN 0-333-61386-4 （英语）. Martin Sicker. The Islamic world in decline : from the Treaty of Karlowitz to the disintegration of the Ottoman Empire. Westport, Conn: Praeger. 2001年. ISBN 0-333-61386-4 （英语）.